This topic contains 4 replies, has 2 voices, and was last updated by Linda 1 year ago. 1. For many users, the form will not progress past Step 1. Once the user fills out Step 1, the page instead refreshes and goes back to a blank Step 1 page whereby the issue repeats over and over. 2. This predominately happens on Androids and desktops. We are not able to pinpoint too much more on the device details. Here is the info “under the hood” and I’m suspecting perhaps the PHP version could be an issue. Please advise asap. Your help is appreciated. If you are experiencing an issue where clicking NEXT on a Formidable Form is not advancing to the next form page, then the issue is likely due to a “required field”, “conditional logic”, or “data format”. In this case, the support request should be directed to the great support crew at formdiableforms.com/support. We have experienced the same issues and found the input mask on the phone number field was causing the issue when users input something other than the required format. 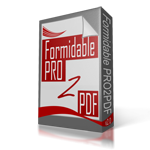 If you still believe the issue is with the PRO2PDF plugin, please provide further details as to what our plugin is doing after clicking submit (or NEXT) after “Stage 1”. Thank you so much for the prompt response! I have no idea how to discern which Formidible group is the correct author to contact for this issue. All I know is that we are having serious problems with this form as of about the beginning of this year. Following up with your suggestion on “required field”, “conditional logic”, or “data format,” I do not believe that’s the case. I made deliberate errors on formatting, even omitted answers completely, and it still went to Step 2, which surprised me as it really shouldn’t have. So, now what? What else do we need to look at to correct this issue? Thank you, I did submit a ticket to them as well. I appreciate the prompt replies, and I’ll get back with you if I need anything further.